Live healthier and more pain-free. 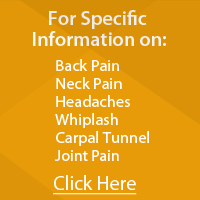 Have you been experiencing pain and discomfort in your joints or muscles? Do you desire to feel better, move and function better, and possibly become pain free ? You’ve come to the right place. Pave your way to a healthier well-being with the Spine Center today! Lee’s Summit Chiropractor, Dr. Seth Kouba offers you effective and efficient chiropractic care to relieve you from the pain you’ve been experiencing and get you back to doing what you love as quickly as possible. We’re a family-oriented chiropractic care facility. What does that mean? We treat people with the highest quality evidence-based care available, just as we would want a member of our own family to be treated. Dr. Kouba prides himself in developing trusting and friendly relationships with his patients to ensure that you’re completely comfortable in our office and with the treatment you receive. Take a look around our website and learn more about Dr. Seth Kouba. When you’re ready, make your appointment with us by calling (816) 246-4325 and speaking with Autumn, or feel free to walk in and we'll do our best to accommodate you. We look forward to hearing from you!